The Dunlin is often the most numerous wader species along the Lista beaches and along the Norwegian coast under migration. They can be seen both on the sandy beaches and in other wetland biotopes. Adult birds start the autumn migration already in July, while the young ones start moving from August on. 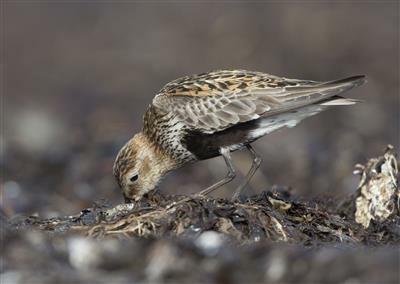 The adult Dunlins in summer are characteristic for having a black area on the abdomen. However, during winter both adults and young are pale underneath.